:The kings and queens of the northern continent lay siege to the Darkwater Forest, desperate to contain its evil. But rumors of gold and aurium have lured deserters and the desperate into its shadow, creating a growing army held in its sway. Desperate after the death and dissolution of their greatest ally, Willet and the Vigil seek the truth of what lies at the heart of the evil they face. They delve the mind of an old enemy and find an answer far worse than they could have imagined. Danger stalks the cities of the north, striking at the rulers of the kingdoms. As Willet and the rest of the Vigil seek to find answers, the group is scattered with an ever-growing darkness around them. Will they discover a path to keep their land safe, or will an ancient evil reclaim the world it once called its own? 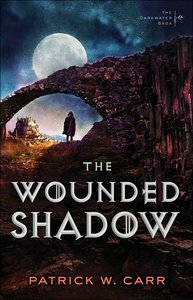 About "The Wounded Shadow (Darkwater Saga Series)"
patrick w carr teaches high school math and makes his home in tennessee, with his wife, mary, and their four sons.